As you progress musically, it becomes vitally important that you are able to understand music theory. But finding all the info you need isn’t always easy. So, to help you along here is a Free lesson on Chord Construction. Yes, music theory can be hard to understand. No, it isn’t always intuitive. But, you can master it in no time, as long as you put the time in. With a simple knowledge of Chord Construction, you will be able to elevate your song writing to the next level. If you’ve never before done any chord construction before, then I suggest you start with Triad Introduction: Guitar Chords. Everything I discuss below will build on that lesson. Triads we will not be dealing with in this lesson. Again, if you need to brush up on your triads check out the Triad Introduction: Guitar Chords lesson. 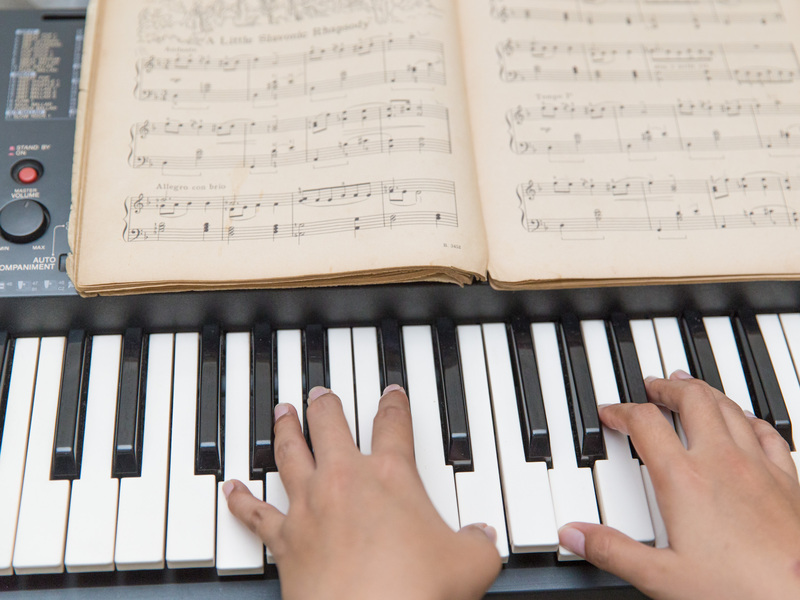 To be able to identify chords, it is important that you are able to name them correctly. This will help your band mates understand what you are talking about. Afterall, without us calling things by the same name we’d all be lost. Whenever we talk about a triad, if we don’t say “major”, it is implied. So when we’re asked to play C, it is assumed that we mean C Major. However, when we start using 7th chords, we can no longer assume that to be the case. A C7, for example, is, in fact, a C Dominant 7. The most common types of 7th chords are the major, minor and dominant 7. Although these are by no means the only types of 7th chords, they are the only one we will deal with for today. Extended chords are chords that contain a ninth, eleventh, or thirteenth. These are considered the extended notes. It is important to note that these can often have two names. The ninth is also the second, the fourth is also the eleventh and the sixth is also the thirteenth. For example, in the key of C, the 2nd and 9th are both D. The 4th and 11th are both F. The 6th and 13th are both A. So now you know the basics of what makes these chords, but let’s look at some of the formulae involved with building these chords. I do indeed offer lessons. I teach from Paul Bothner Music in Plumstead, and lessons are R600 per month.